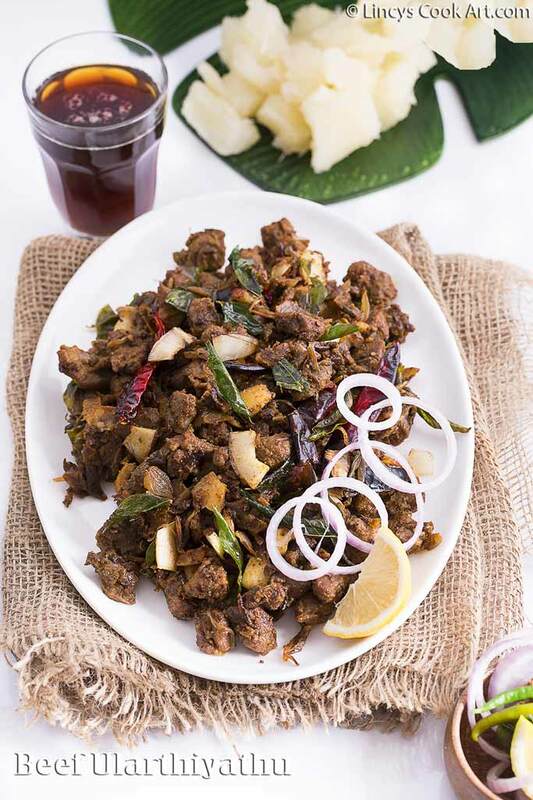 Kerala Beef Fry| Nadan Beef Fry| Beef Varattiyathu| Beef Olathiyathu| Kuttanadan Beef Roast| Nadan Chilli Beef| Kerala Toddy Shop Beef fry..etc are the names for the same Beef Ularthiyathu recipe. 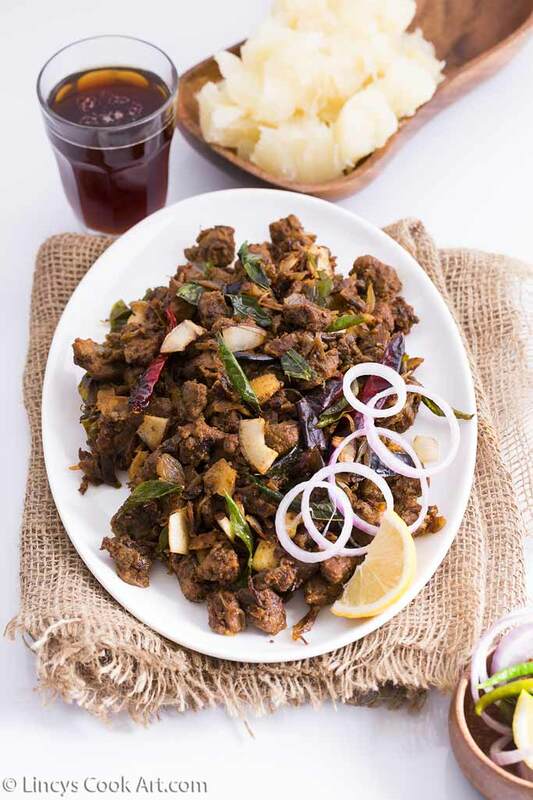 It is nothing but the spicy beef preparation generally served with Kappa, Rice or with Appam. It is prepared extra spicy and served as very special items in Kerala toddy shops. Mom used to prepare this recipe during Easter during childhood days. I love it a lot the because of the flavour of the masalas cooked in coconut oil and the curry leaves. The dish spreads the flavor to the whole building if you prepare for sure. 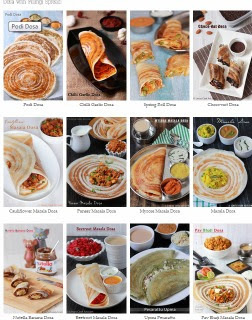 I used to prepare this dish for Christmas and Easter like occasions i have clicked many times and not satisfied with the pictures and this Easter i have planned to post the recipe and finally i am happy that i am posting today. In a pressure cooker or a pan add the meat, 1/4 cup of water,1/2 teaspoon turmeric powder, 1 teaspoon chilli powder and 1 teaspoon coriander powder and salt. Cook for 3-5 whistles or till the meat cooked soft. Open the lid; keep the flame to high and allow to dry the water, till the oil from the meat only exists. Heat coconut oil in a shallow Pan and add cardamom, cinnamon, cloves and dry red chillies. Fry till the red chillies turn crisp. Now add onion, ginger, garlic, green chillies, curry leaves and coconut slices and fry till the onion turns golden colour. Add remaining turmeric powder, chilli powder, coriander powder, fennel seed powder, Garam masala powder and pepper powder immediately add the cooked meat and roast well. Cook till the masalas absorbed by the meat. Check the salt and masalas, add if required to balance the spiciness. Note: I have given recipe for the dry preparation. If you want it as a semi gravy add the meat cooked water at the final stage and add bit more masalas if required and simmer till you get a semi gravy state.